A modern retreat with breathtaking views! 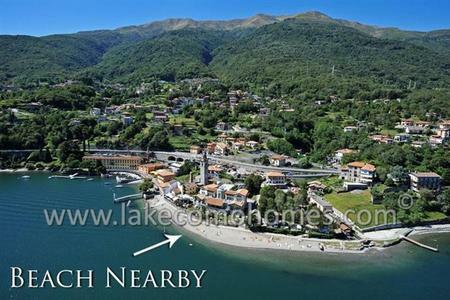 This apartment is situated in a beautiful newly-constructed high-quality style residence, enjoying an elevated position over the charming semi-rural village of Pianello del Lario which is situated along the desirable well-connected central western lakeshore. 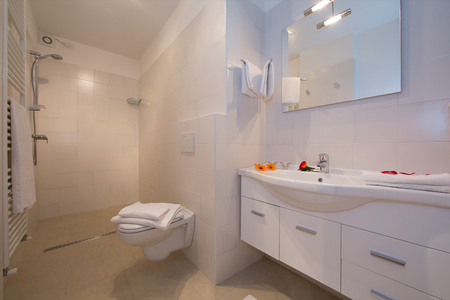 The local amenities include a bakery with fresh bread and pastries, a supermarket, restaurants, sport bar, pharmacy and post office. Pianello also has its own Ferry port and sandy beaches with waterfront dining where all types of water sports can be enjoyed. Approaching the property by private gated walkway the position provides magnificent lake views and sunny exposure. 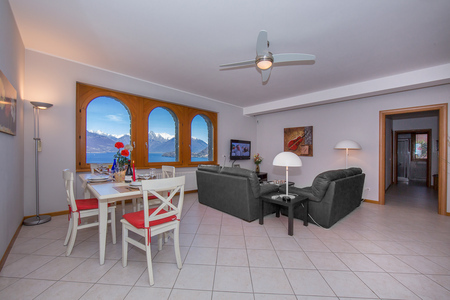 This is one of 4 apartments which blends very well with the surroundings. 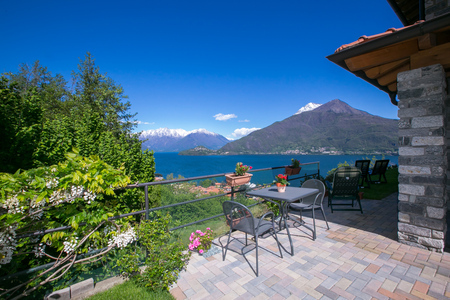 It boasts arched windows adding a certain romance and ideal framework for breathtaking lake and mountain views of the Italian and Swiss Alps. Inside is a bright and spacious modern open plan living room with beautiful new kitchen offering every amenity. 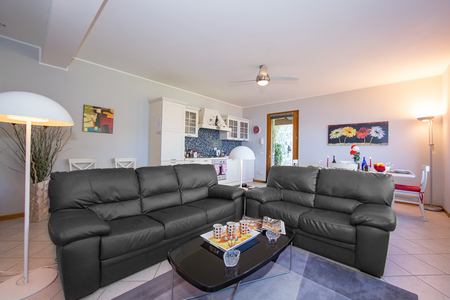 Dining area seating up to 6 guests also features in the open plan room, as well as luxurious seating area which provides two stunning leather sofas, a 42" flat screen TV with DVD player and free internet. 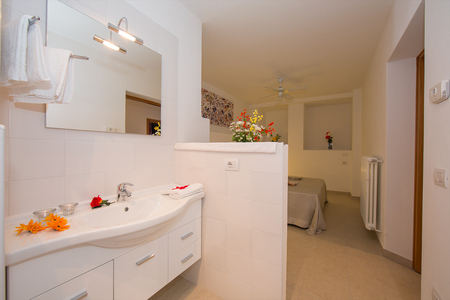 The tiled room leads to the sleeping accommodation which consists of two double bedrooms and a 3rd bedroom with a twin joinable. The master bedroom has had newly installed en-suite bathroom. 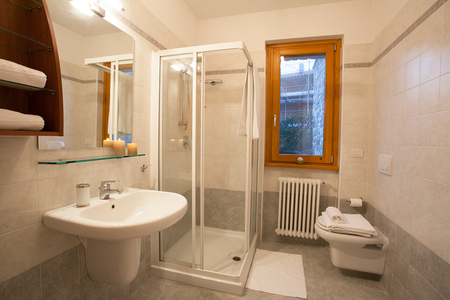 A second modern fitted bathroom has a spacious shower. For guests' convenience there is a washing machine in the storage area. This fantastic property boasts a sunny panoramic lake view garden with a covered veranda and seating for six. The ground is mainly laid to lawn with a sloping grass area and a flat level terrace offering two outdoor dining areas; one of which is custom-made in stone and also has seating for six. 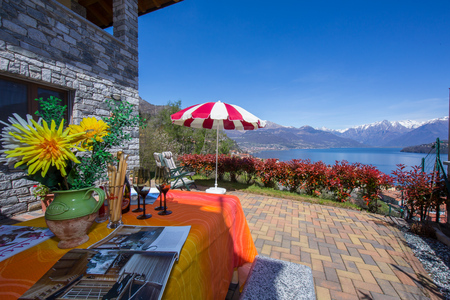 Sitting here with a glass of chilled wine and good company will be made all the more memorable by the incredible views, which are absolutely stunning and feature the natural surrounding landscape, the pretty rustic semi-rural villages and the serene Lake with its dramatic mountain peaks beyond. 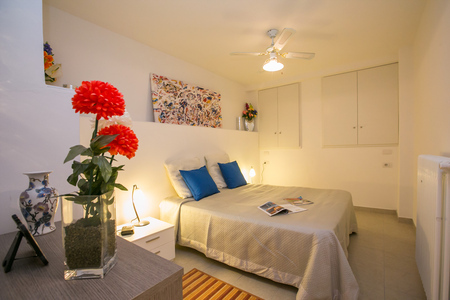 The apartment also offers two parking spaces to the front of the Residence as a car is recommended due to the hillside location of the property. Although the situation of the property is beautifully serene there are amenities close by which are just 5 minutes short drive away. 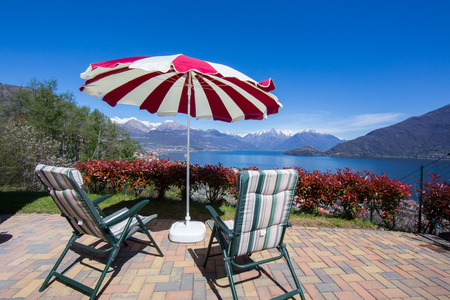 The beautiful lakeside towns of Cremia and Domasso both offer local amenities and also provide Water sport activities and are situated just 4km away from Pianello. 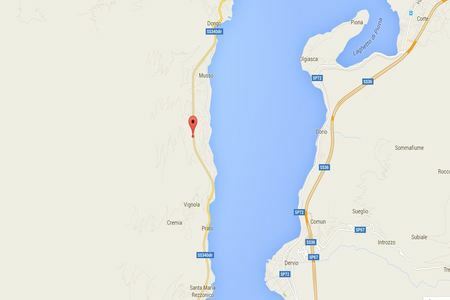 The well-serviced lakefront town of Dongo with its wide variety of charming restaurants is also conveniently located just 2 km away. 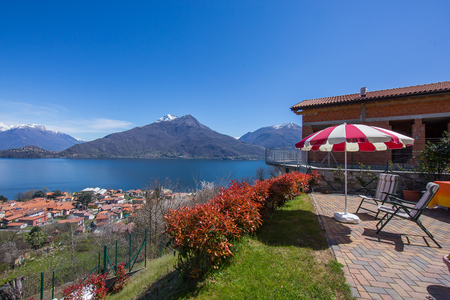 The very famous and picturesque lakeside Resort town of Menaggio is situated approximately just a 20 minute’s drive away and offers a wide selection of shops both local and boutique, as well as cafes, bars, restaurants and local attractions for visitors to enjoy. 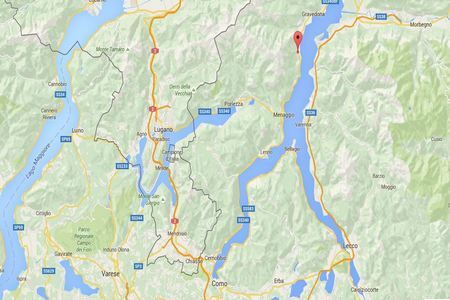 A fast and frequent Car and Passenger ferry service also operates from the town, enabling visitors to explore the eastern shore of Lake Como, which boasts the two exceptionally pretty Resort towns of Bellagio and Varenna. PLEASE NOTE: This property includes speed wireless internet free of charge! 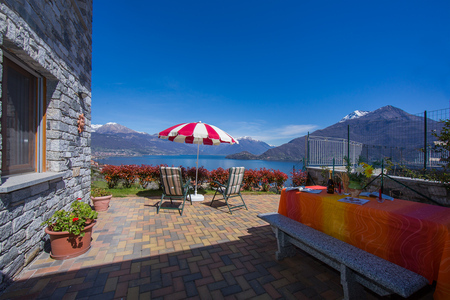 By booking this holiday home you will have FREE access to the Lido di Menaggio. 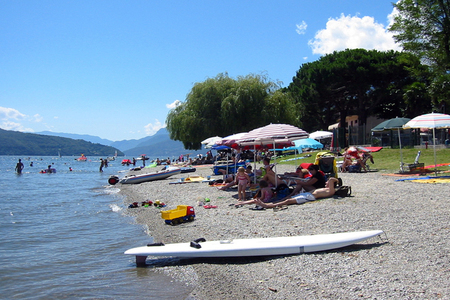 The Lido di Menaggio has swimming pool, restaurant, bar/discotheque, kids club, boat rentals, sandy beach, kite surfing and various sporting activities to enjoy. July 2016 We had a really nice and relaxing holiday in Italy! 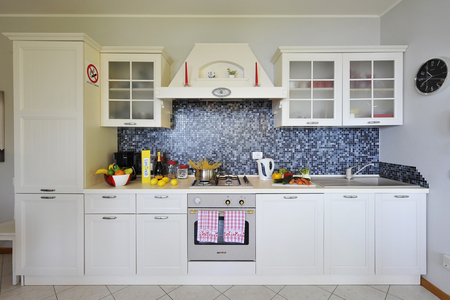 We were very satisfied with the service provided by the team. The views were breath taking and the house was very well equipped. 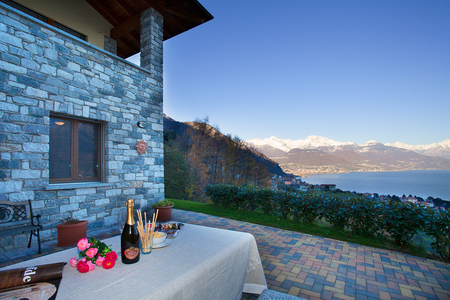 Susanne, Denmark " Susanne Nielsen "
I'd like to thank you for arranging our stay in the most amazing place in Lake Como. " 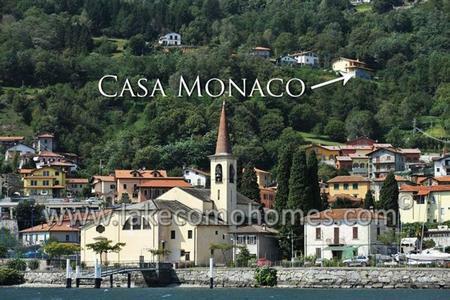 khalaf almazrouei "
Casa Monaco was perfect for our holiday. The accommodation was immaculate, a perfect size for us , and had mostly everything we needed. It would have been nice to have enough sunbeds for all, but that was just a minor issue. The views were spectacular, and we were treated to several impressive lightning storms during our stay. The house was a great base for us, both my wife and I are keen runners so were happy to run down to the bakery and shop each morning, although the climb back up was a challenge. Thanks to all at Happy Holiday Homes for making the holiday very special, whilst we didn’t need any support whilst out there (other than for wifi access which was resolved very quickly) the service you provided in advance of the holiday was the best that I have experienced. I would certainly consider booking with you again in the future and would gladly recommend you to family and friends. " Rod "
Thanks for letting us stay in your beautiful holiday home! The accommodation was ideal for 2 couples and the lake views were truly mesmerising! Pianello del Lario was such a tranquil spot to enjoy our Lake Como holiday from. Thanks again HHH! " Lucy Giles "
Many thanks for a wonderful Lake Como stay. 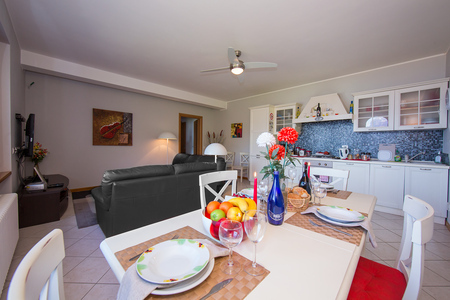 Our holiday home, Casa Monaco was exactly what we were looking for! 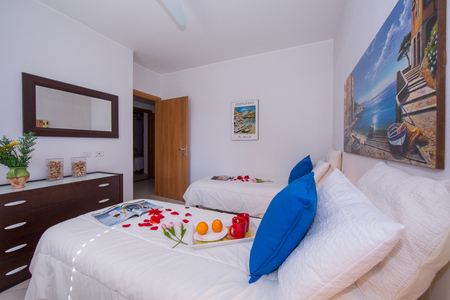 Our expectations were raised even more so by the dedicated and friendly service we received from the Happy Holiday Homes team. 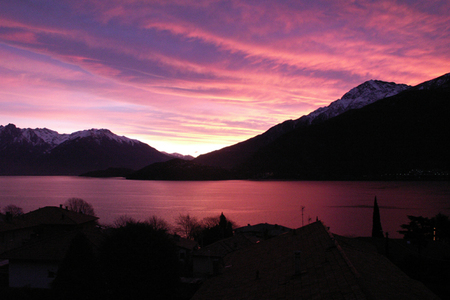 Thank you for the perfect Italian Lakes escape! " Timothy Kirkwood "
What a fantastic holiday! Our lake view garden was like paradise! 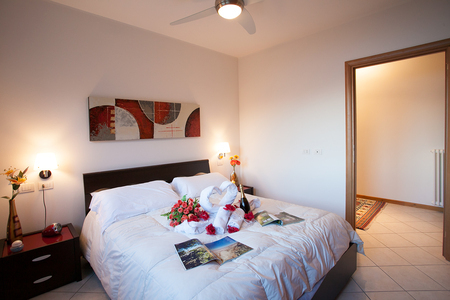 Our holiday aparment was so modern and clean inside and it was very luxurious for us, with 2 double size bedrooms. Our hire car was so easy to get to Menaggio and the sites of the central lake. Thanks so much for letting us stay in your beautiful home! " David Hirsch "
My family had enjoyed a busy sightseeing holiday the previous week in Rome and we ideally wanted somewhere peaceful for our second week before our drive back to England. We knew the lakes could offer this. We were not disappointed! 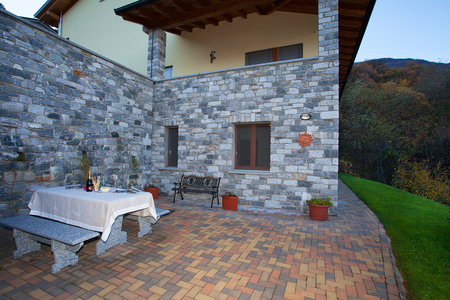 The house we chose, Casa Monaco was situated in a really pleasant semi-rural location on the Pianello hillside. We were travelling by car so we were able to access the house easily. I would certainly advise a car because it is quite a way up from the bus stop we saw along the main lake road. The location was so quiet and we felt like we had our own little oasis to enjoy for the week. Our teenage twin girls really loved the sunny garden for sunbathing and we all had a great time there. It was modern and very comfortable. Power boat rental, tennis, swimming, golf and water sports were all near by. We also went to visit villa carlotta and villa balbianello which I would highly recommend! There were lots of restaurants along the western shore to enjoy, particularly in Tremezzo. 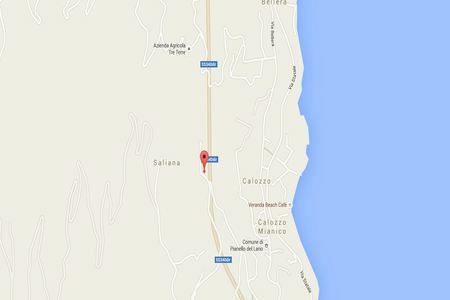 There was also a great pizzeria in Cremia called la Baia. The girls had some delicious pizzas there and Suzie and I were real fans of the lake fish dishes! " Tom Humphrey "
My husband Max and I enjoyed two super weeks in Casa Monaco this August time. The place was in a really peaceful location on the hillside. We were both really impressed by the modern interior and open plan layout. 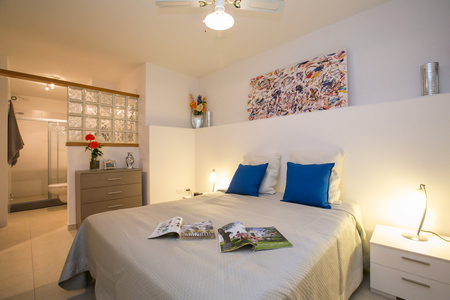 Our friends came to stay for the second week so we were able to give them the second room which was great! The garden was super sunny and the views were incredible! The place really needs a car to get too. Lydia the booking lady told us this when we booked - so we were prepared. The location was great for walking and for accessing the wind surfing and central lake attractions. Max and I also enjoyed kayaking and a yacht cruise, organised by happy holiday homes. Many thanks for a fun and relaxed stay. Your place was very beautiful! " Henrietta Amsel "